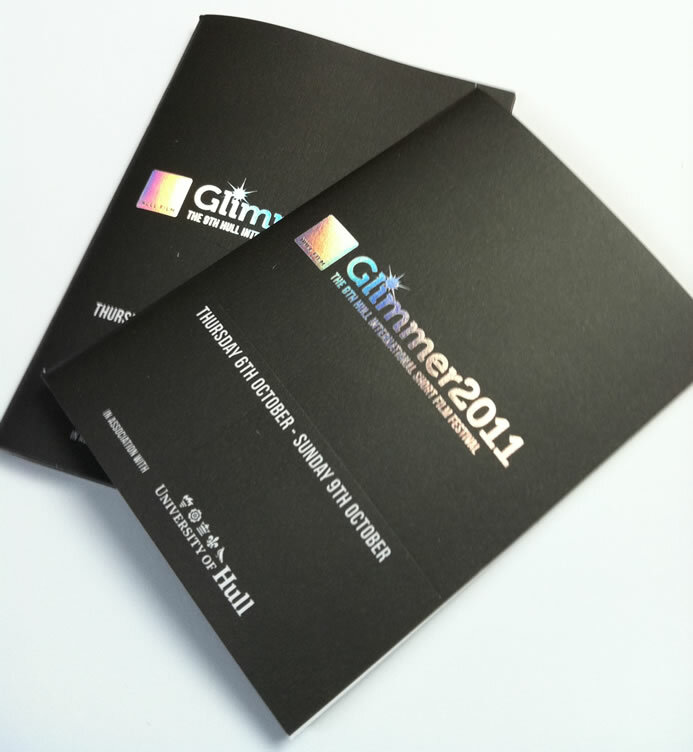 70 page A6 brochure printed in 2 colours with spectrum foil block logo on front cover. Printed on matt uncoated. This entry was posted in Graphic design & print and tagged Brochure, Hull Film. Bookmark the permalink. Follow any comments here with the RSS feed for this post. Comments are closed, but you can leave a trackback: Trackback URL.